CINCINNATI -- If you’ve ever wondered what resilience looks like, look no further than Monique Gilliam. Her dad died a violent death when Gilliam was only 13. Her mom tried to kill herself a few months later, something Gilliam’s other relatives tried to keep from her. Gilliam was 16 when her mother tried to kill herself a second time. That’s when Gilliam learned her mom suffered from manic depression. One of Gilliam’s younger brothers had it, too, and tried to kill himself when he was just a boy. He survived that time but died by suicide when he was just 16. 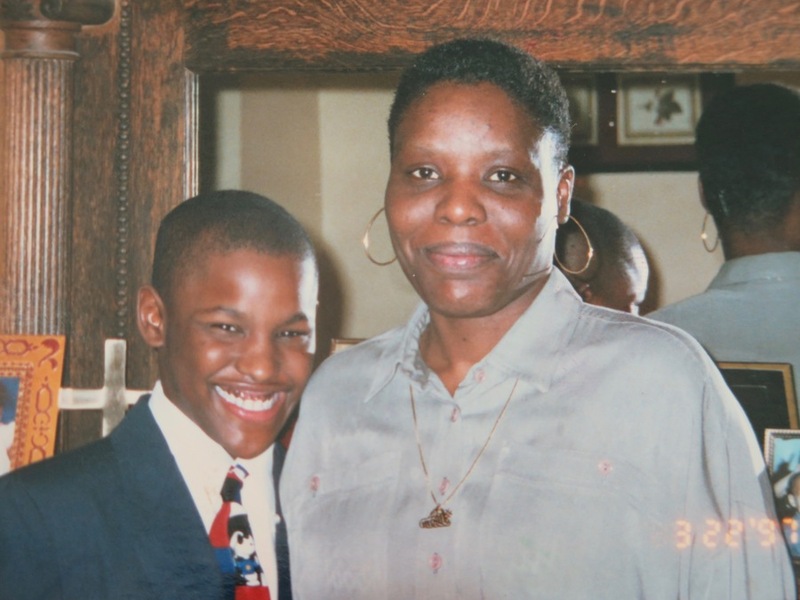 Monique Gilliam's brother, Sherman, and her mother, Rosa Ford, in a photo taken a couple of years before Sherman killed himself. Gilliam’s mother never recovered from his death and killed herself about 18 months later. By then Gilliam’s beloved grandmother and great-grandmother also had died. But even after all that loss, Gilliam pushed herself to move forward. 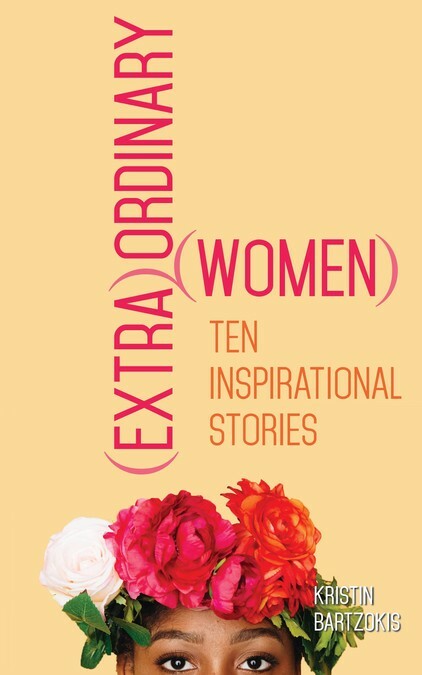 That resilience and determination so inspired publishing executive Jennifer Scroggins that Scroggins asked Gilliam to be part of a book called “(Extra)Ordinary Women: Ten Inspirational Stories,” scheduled to publish this month. The chapter on Gilliam focuses on how she has coped with the tragedy she has experienced in hopes that her story can inspire others. Even for someone with as positive an attitude as Gilliam, it hasn’t been easy. She confronted one of her most difficult struggles a few years after her mother died. Gilliam had been in a serious relationship and became pregnant with her first child. She had a good job at Cincinnati Children’s Hospital Medical Center at the time and was excited about the baby. But she went into labor way too early -- just five and a half months into her pregnancy -- and her baby boy didn’t survive. All at once, she understood her mother a bit better. Gilliam didn’t have the time with her son that her mother had with her brother, but she felt the loss acutely. 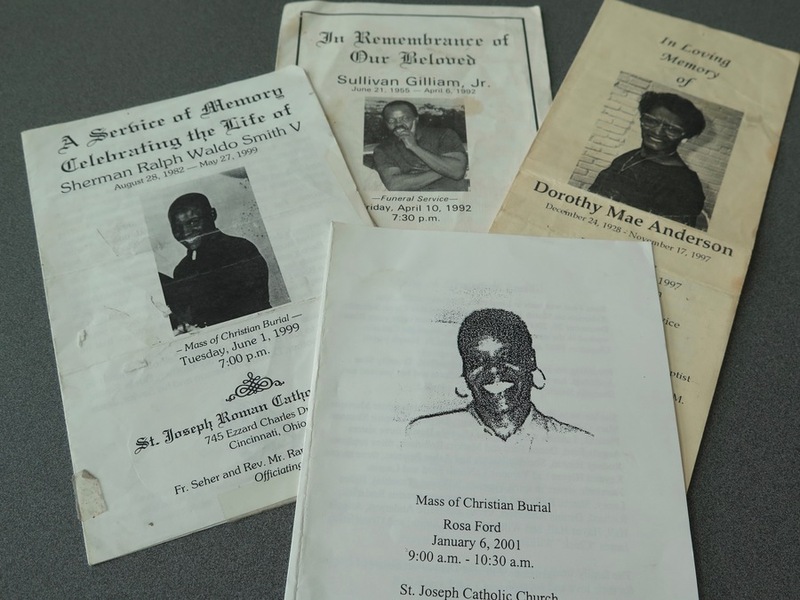 Monique Gilliam still has funeral service programs for her father, great-grandmother, brother and mother. A year and a half later she had another baby boy, who is now 15, but her struggles didn’t stop. Gilliam has gone through job losses and homelessness. She has gone from living in a nice apartment and driving a nice car to relying on food stamps and cash assistance to support herself and her kids. By her mid-20s, she began to feel alone, acutely aware of the loss of her parents, but especially her mother. In late 2011, a friend referred her to MomsHope , a local nonprofit that connects low-income, single moms with faith-based mentoring. For the first time in a long time, Gilliam felt surrounded by the love and support of mothers, sisters and aunts. 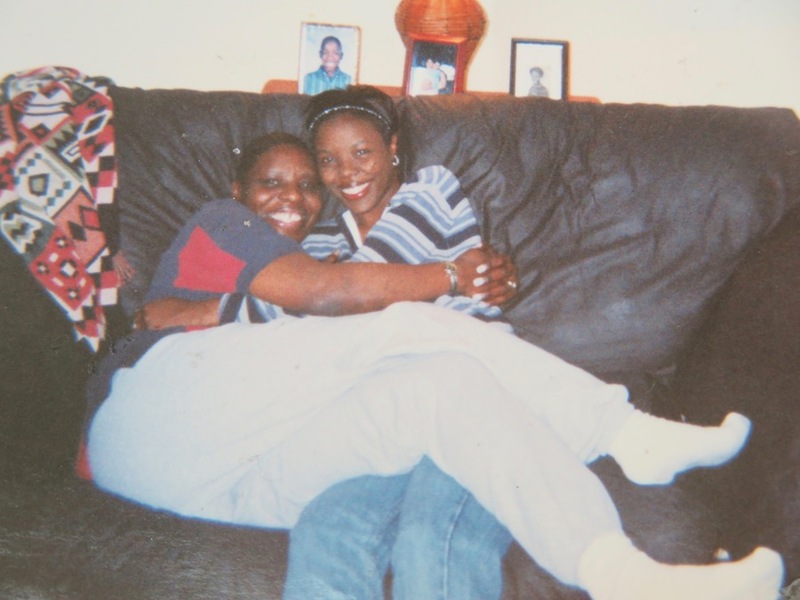 Monique Gilliam, right, with her mom in an undated photo. The book explains other setbacks and how Gilliam overcame them. But what she’s doing now is a whole new story. In June Gilliam began working for the Family Independence Initiative, or FII, as the organization’s Cincinnati liaison. 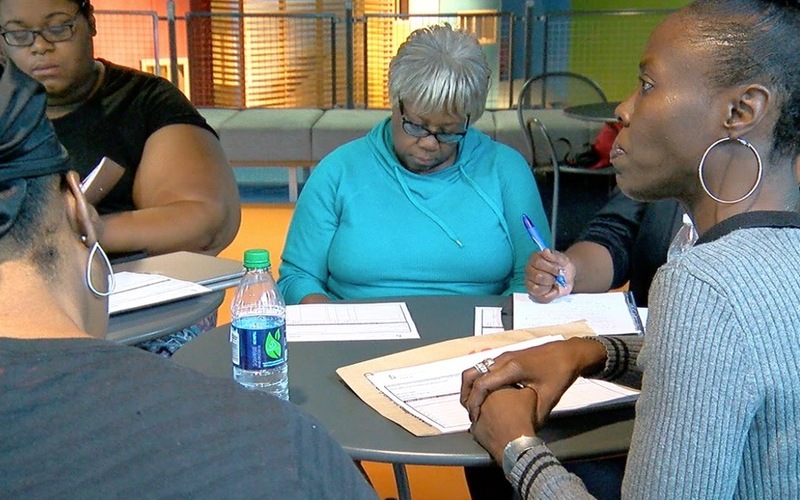 In that role, she helps recruit families to become part of FII, a nonprofit that helps connect low-income families so they can craft their own strategies to improve their lives. The fact that she has experienced so many of the hardships that other low-income families face has made her especially good at her job, said Vashti Rutledge, the Cincinnati director for FII. Gilliam’s experiences also serve as a reminder of the strength that local families display as they work through their struggles, Rutledge said. “There are many Moniques in our community,” she said. Still, there is something special about Gilliam that inspired Scroggins, even beyond the fact that she has refused to give up, no matter what life has thrown at her. Gilliam has even bigger plans for herself. She has been telling her story in public and will be speaking again at a MomsHope event on Oct. 16. She wants to write a book someday and launch her own nonprofit organization. For now, she is raising her four children just a few blocks from where she grew up in Over-the-Rhine, starting and ending each day by having a conversation with God just as she has since she was 14 years old. Monique Gilliam, right, with her son, Darnell, when he was a little boy. It’s a lesson that Gilliam hopes others can learn from her story of loss. The book “(Extra)Ordinary Women: Ten Inspirational Stories” is available for purchase on KiCam Projects’ website or Amazon . Lucy May writes about the people, places and issues that define our region – to celebrate what makes the Tri-State great and shine a spotlight on issues we need to address. Poverty is an important focus for her and for WCPO. To read more stories about poverty, go to www.wcpo.com/poverty.